Should my child have ACL Surgery? Answer: Traditionally, when a child injured his anterior cruciate ligament (ACL), a connection within the knee important for joint stability, surgeons were reluctant to operate and reconstruct the ligament right away for fear of damaging the growth plate. The concern was that before a child has reached skeletal maturity (about 12-13 years old in girls or 14-15 years old in boys) this type of surgery presented a risk of injuring the growth plate. Growth plate problems resulting from ACL surgery could lead to unequal leg lengths or angular deformity. However, recent research shows that the risk of growth plate problems is much less then the risk of permanent knee damage if the ACL is not fixed. The growth plates are the part of the bone that grows in length. Most bone growth occurs near to the ends of long bones in these areas called growth plates. Two of the most active growth plates in the body are just above and just below the knee joint. These growth plates contribute to the length of both the thigh bone (femur) and shin bone (tibia).Traditional ACL reconstructive surgery involves making a tunnel in the bone directly in the location of these growth plates. At the time of skeletal maturity, the growth plate closes. Once the growth plate is closed (or nearly closed) the risk of causing a growth disturbance is gone. However, by drilling a hole through an open growth plate, the body may close the growth plate early. This could lead to complete growth plate closure, causing leg length inequality, or partial growth plate closure, causing angular deformity. Angular deformity could in turn lead to knock knees (genu valgus) and bow legs (genu varus), These conditions progressively worsen with further growth and could lead to problems such as joint damage and arthritis. Knees that are unstable as a result of ACL tears have a high chance of meniscus tears and cartilage injury. 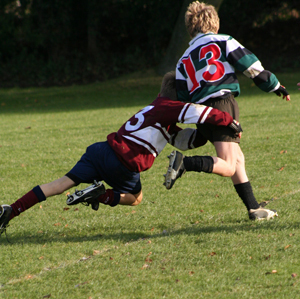 Many surgeons have recommended that ACL surgery in children be delayed until the child has reached skeletal maturity. The hope being that by delaying surgery, you could avoid the potential complications of growth plate injury as a result of ACL surgery.Two factors have lead to more surgeons recommending early ACL surgery, even in children. First, more recent research has evaluated the risk of growth plate injury in comparison to the downside of delaying surgical treatment of the torn ACL. The risk of meniscus tears and cartilage injury was found in a recent study to be higher than the risk of growth disturbances. Second, there are modifications to traditional ACL surgery that allow the growth plate to be minimally affected in children. Furthermore, your doctor may recommend a specific type of graft to help minimize the chance of growth plate injury if surgical treatment is pursued. Therefore, more surgeons are recommending early ACL surgery, even in children. The bottom line is that the risks of waiting (joint instability, meniscus tears, and cartilage injury) appear to be greater than the risk of growth plate injury for early ACL reconstruction with current surgical approaches. As a result surgeons today are more likely to recommend early ACL reconstruction.